We sign books! 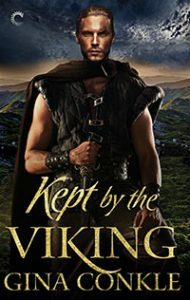 Here is my first signing with Carina Press (Harlequin imprint) for Kept by the Viking. I swear my puffy eyes are from the altitude! We gather to discuss historical details. 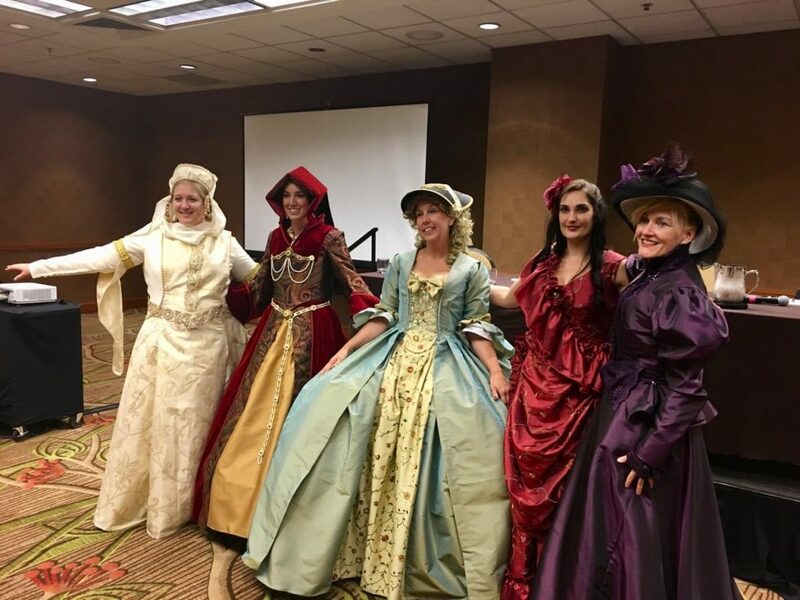 You might recognize some of these authors (Eliza Knight, Tonya Ann Crosby, Madeline Martin, and Victoria Vane). Victoria Vane sews these amazing gowns! We meet bloggers like Joy who runs “Joyfully Reviewed” (famed for her cute bunny ear brand). We meet new authors like Allison Collins who writes contemporary cowboy romance for Harlequin (she sat beside me at Saturday’s Literacy signing). 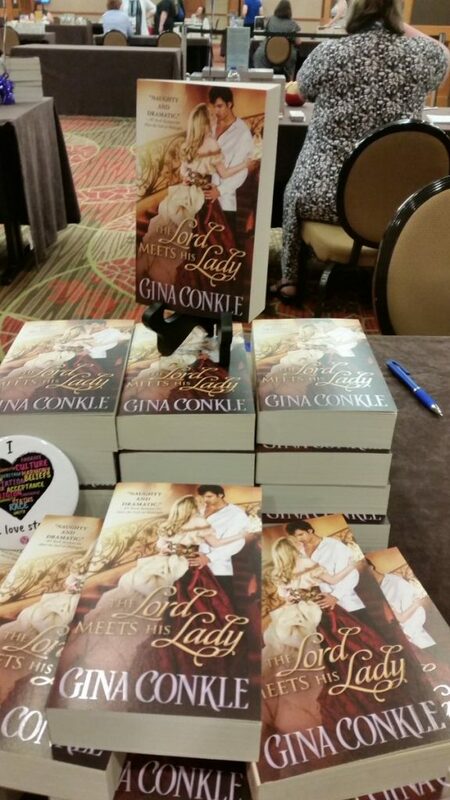 We sign more books (this was the Sourcebooks signing). 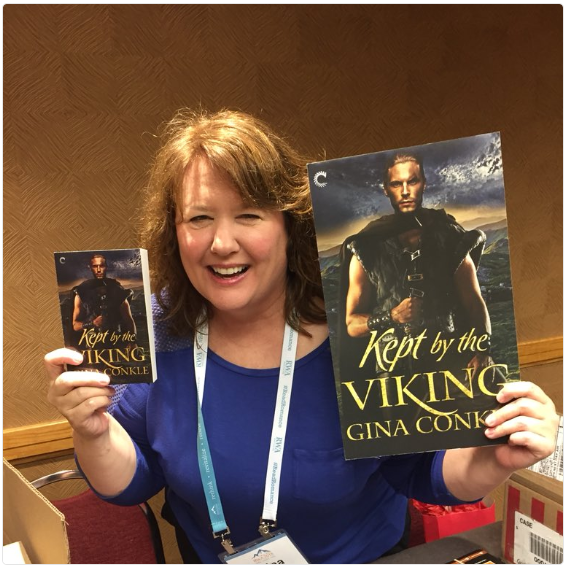 We meet up with author friends (this is Marie Harte, author of *hot* contemporary romance with Sourcebooks, but she’s holding up my book). We get quoted by the press. 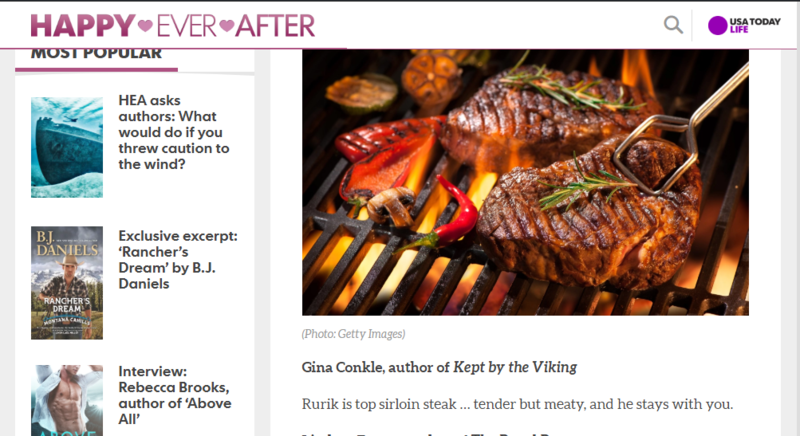 USA Today asked me to use food to describe my hero, Rurik, in Kept by the Viking. Apparently they liked it! Click the image if you want to read more. We occasionally grab refreshments. 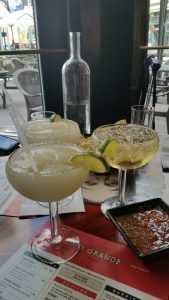 These are beverages consumed with my friends, Dawn H. and Anne S.
Thanks for taking this trip for me. Now, I’m offering a 3 print book giveaway! * All you have to do is tell me in the comment section where you want to read these books. Do you have a favorite, cozy reading spot? *Random winner will be drawn from the comments at noon ET July 27th. Giveaway is open worldwide. My favorite place to read is while having a bubble bath! I have a waterproof Kindle and a Waterproof Nook! Thanks for the chance Gina!! ?? My bed! I also love a corner of our couch watching my son play, but my favourite is in bed at night with a cup of tea. I have a lounge section of my couch that is right next to a window – I read either there or in bed. My favorite reading spot is my recliner in front of the living room window. But I like my red IKEA chair and footrest almost as much. My favorite reading spot is my recliner in front of the living room window. But my red IKEA chair with footrest is pretty good, too. Hi Gina! My favorite place to read is in my chair in the den. Prop my feet up and have a glass of iced tea and read away! 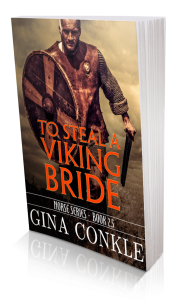 Hi Gina, I love to read my books almost anywhere. Favorite is on the couch orbed just relaxing. But many times I read them at a swim meet when I have to sit there for 8-12hrs and cheer for 5mins total. So I have a lot of time to read. Lately my favorite place to read is anywhere I can do so uninterrupted (or with minimal interruptions). But really I like to curl up on my sofa with one of my cats. In my room, by myself, ok and my dog Buddy, curled up in a blanket. I like quite and I don’t want to be interrupted. I usually read in my computer chair in front of my computer. It is not that it is comfy just easier. I love reading in my bed. And I very much enjoyed the RWA. It was jammed packed with writers that I have loved to read for years, 2 hours was certainly not enough time to meet all. In the summer, I like to sit out on our porch in the swing and read. There is usually a nice breeze and it is the perfect, quiet, reading spot. If the weather is hot, humid, and raining I move inside, curl up on the sofa and read. Drinks are optional but usually within reach. And the winner is…. Jennifer Bairos! Congratulations Jennifer!! Look for an email from me in your inbox.